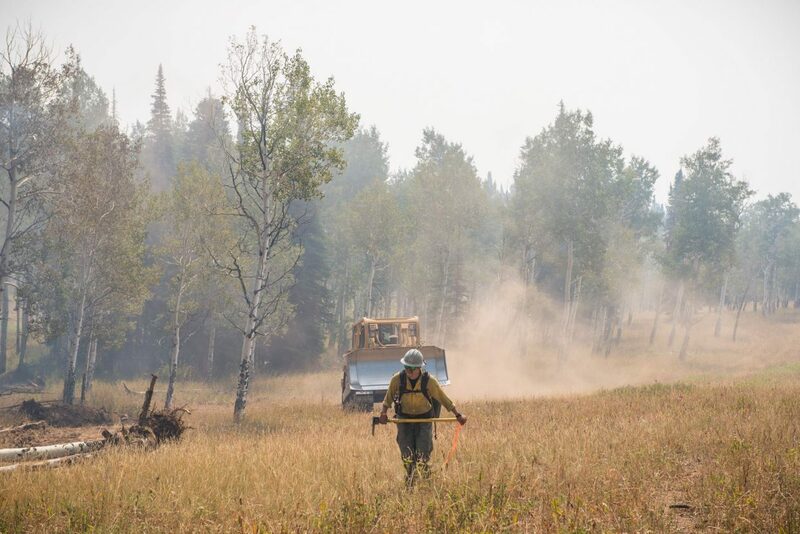 A firefighter walks away from a fire near Trapper Lake in September 2017. Firefighters in the Northwest Colorado Fire Management Unit plan to light prescribed fires to burn the wood that fuels more dangerous wildland fires. CRAIG ­– Firefighters with the Northwest Colorado Fire Management Unit will burn more than 200 slash piles 5 miles west of Greystone on Douglas Mountain. The burn was scheduled to begin Thursday, contingent upon continued favorable conditions. The burns will take several days to complete, and people in the Greystone and Douglas Mountain areas will see smoke for several days as firefighters complete the burns. The Bureau of Land Management created the slash piles to reduce hazardous fuels and improve forest health. All prescribed fire plans contain specific criteria regarding weather conditions and air quality that must be met to help ensure a safe, effective burn, as well as to minimize potential smoke impacts to local communities. For additional information about the pile burning, call Dale Beckerman at 970-826-5004. For more information about how wood smoke can affect health, visit colorado.gov/cdphe/wood-smoke-and-health.